Firstly I wish to thank HELEN CLAIRE and BLOODHOUND BOOKS for inviting me on this Blog Tour for ROBIN ROUGHLEY’S New MARNIE HAMMOND series. This is the first book in the series KEEP YOU NEAR. A normal day in the park turns into a nerve shredding nightmare for eleven-year-old Marnie Hammond when she find herself in a desperate chase to stop the ‘bad man, ‘ from abducting Abby. Fifteen years later, Marnie is a Detective Sergeant but the memory of her missing sister still haunts her dreams. When it becomes clear that someone is stalking the streets of Kirkhead DS Hammond has her hands full, and after remains are discovered buried in dense woodland, Marnie fears the worst. But this is only the start of a nightmare that will unearth more bones, more victims and the terror that Abby might be among the dead. To stop the monster Marnie knows she must break the rules, but when the twisted killer turns his attention on her it becomes a fight not only for the truth but for her sanity and her survival. Can Marnie catch the murderer and solve her sister’s disappearance? Have you ever wondered what happens to the serial killers that are never caught? Do they simply grow old and retire like you and me? Thinking back on their life’s work, their glory moments, the heinous crimes of a child murder that only he can relive because the bodies have never been found. Well there is such a man and a rage like no other is building inside him. . He is like a wounded animal now desperate to reclaim those glory days and no child is safe. He is back and he needs to feel the power again. This is a man that nightmares are made from, he is Marnie’s nightmare. D.S. Marnie Hammond’s real life nightmare of 15 years ago. 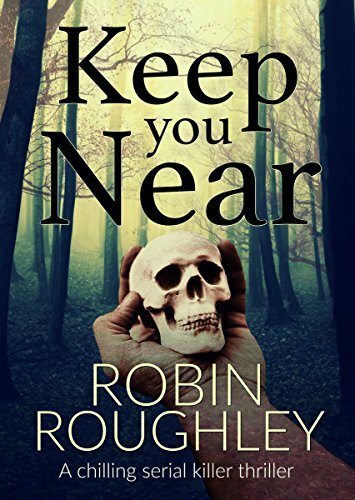 Oh my Robin Roughley’s new series has had me bouncing off the walls, a book high that I haven’t yet come down from because this is one of the scariest killers yet, a killer that is after a fix that no drug could ever match, a high that he knows he has had before and will stop at nothing until his mind reaches that ultimate goal. This really is a cracker, I just loved the whole concept of the story, something that I hadn’t ever really thought about before and it is still bombing round in my head. Still playing with my mind. There is no gentle way to say this, this book has some pretty wickedly gruesome killings in it, all very descriptive, all visual and all necessary. I really took to D.S. Marnie Hammond so quickly, a very down to earth woman that has that extra edge of gut instinct that she goes from, not just the rule book. I loved the protectiveness that her colleagues have for her, like big brothers would have, not she can’t look after herself because she is such a little terrier ready to bring anyone down. The story is just page after page of pure adrenaline rush. Lots of threads all tangled together each a gripping or heart breaking story in its own right but put together it is my top story for this year so far. Pure brilliance! Robin Roughley is the author of the popular DS Lasser crime series set in Wigan in the north west of England, the land of the pie and mint balls. When not writing he can be found walking an assortment of dogs along the canal towpaths working out plot lines and devious ways to kill people and get away with it. He has been a full time writer for the past three years and is currently working on the fifteenth book in the Lasser series.